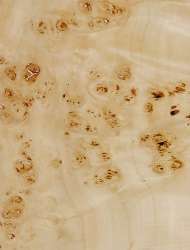 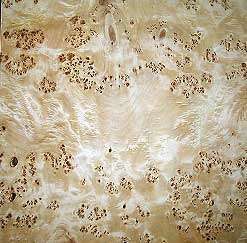 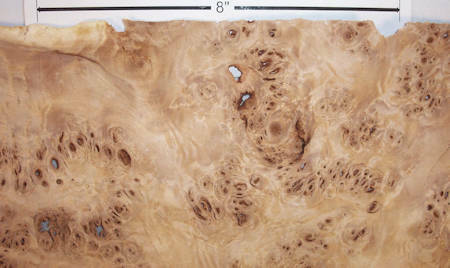 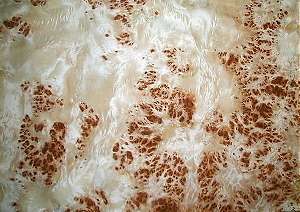 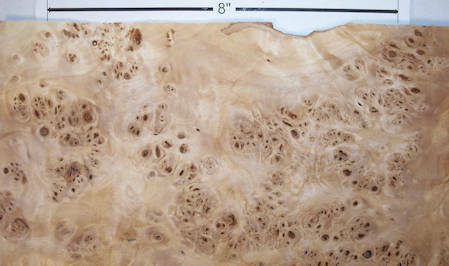 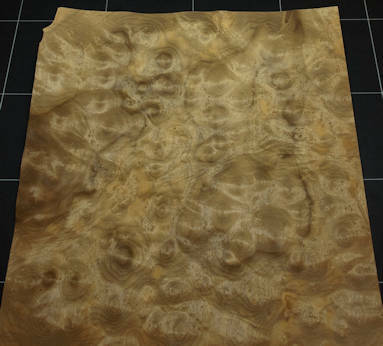 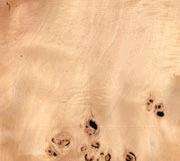 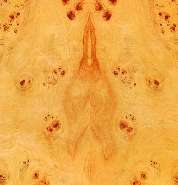 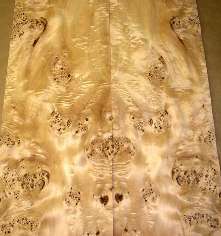 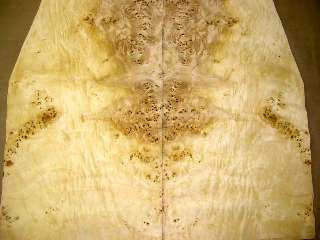 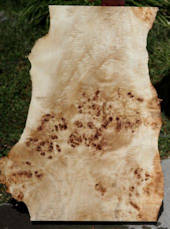 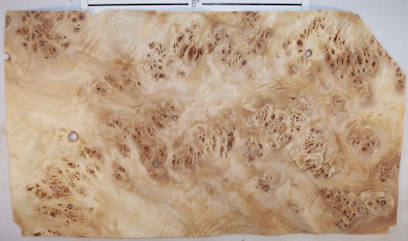 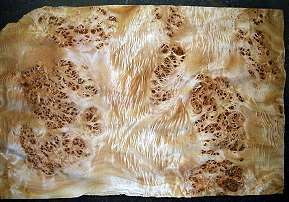 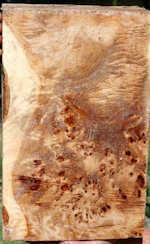 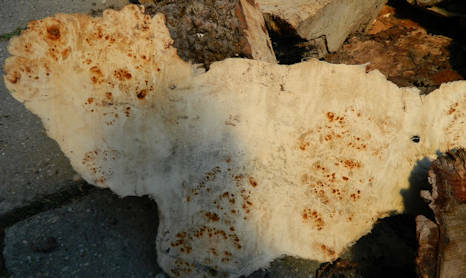 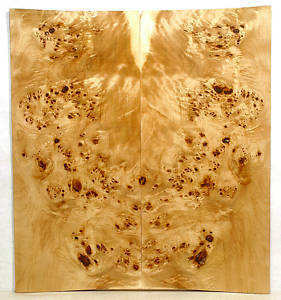 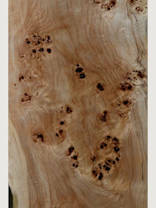 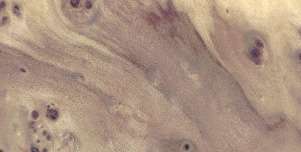 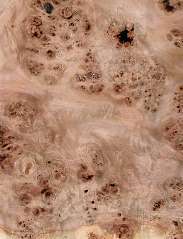 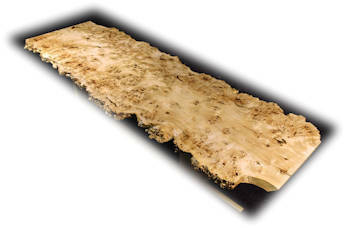 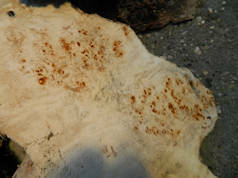 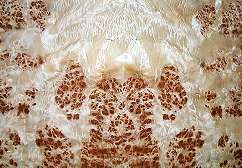 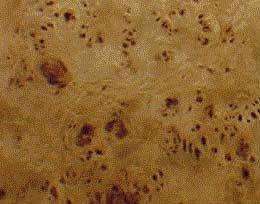 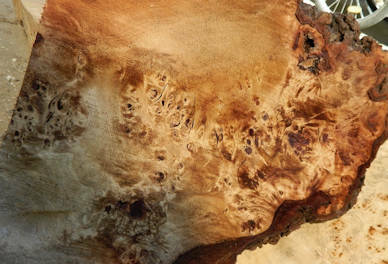 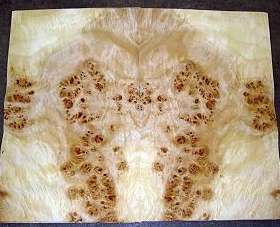 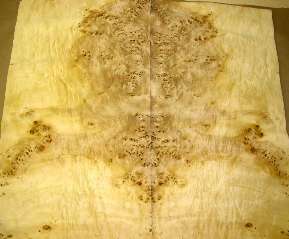 this was a particularly large piece of mappa burl --- judging from the context of the pic from which I extracted this section (which is about 5' long) the whole sheet was about 8' long a 2.5" wide. 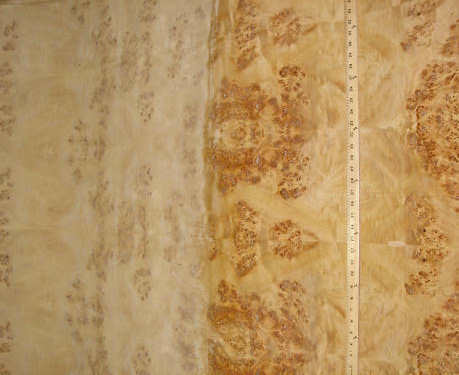 Color is likely spot on. 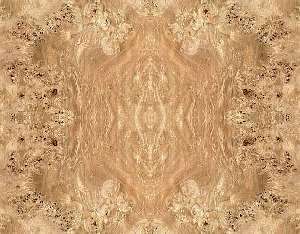 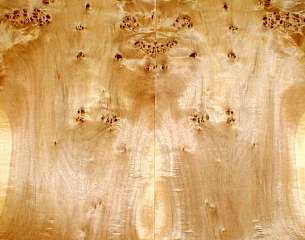 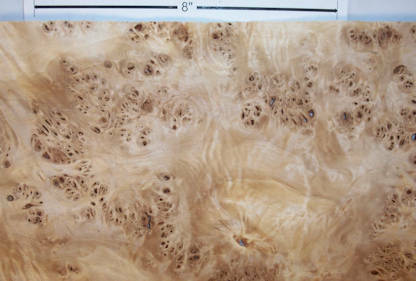 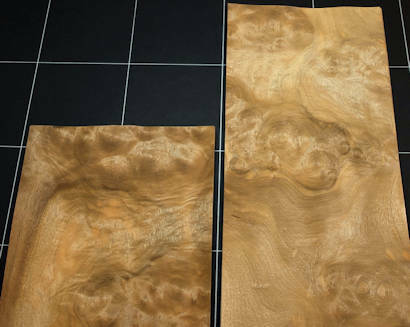 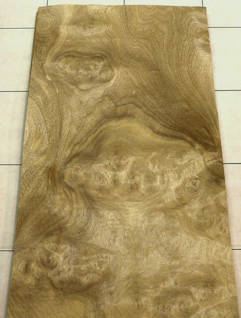 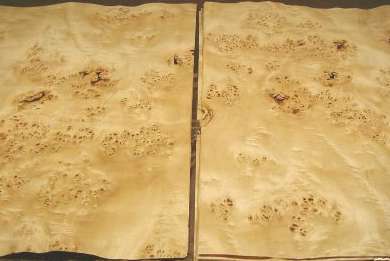 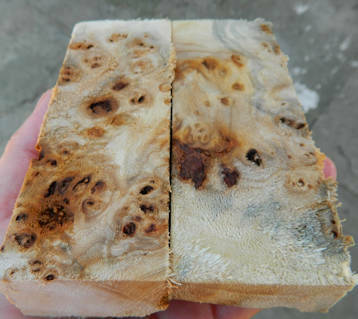 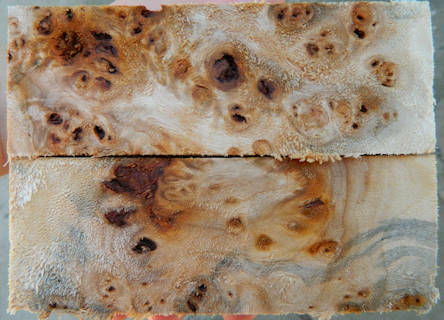 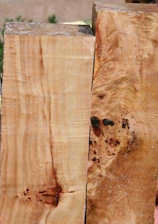 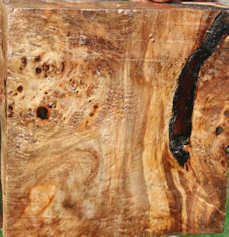 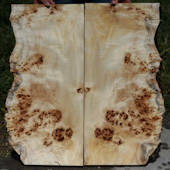 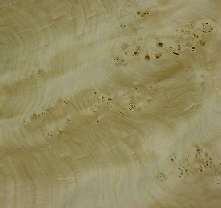 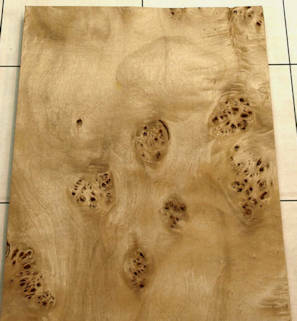 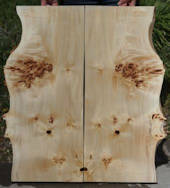 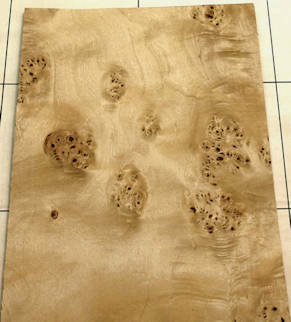 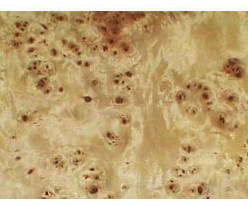 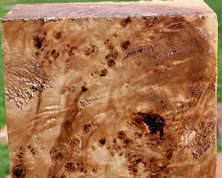 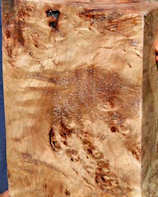 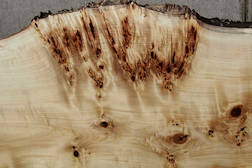 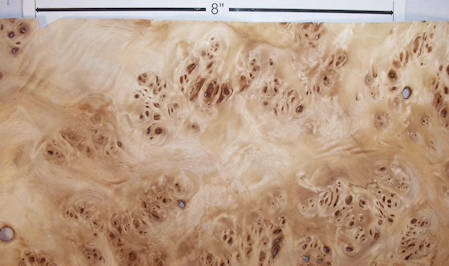 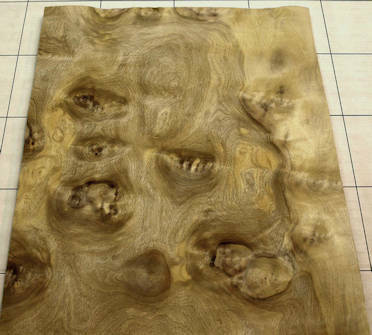 burl veneer all from the same vendor --- I believe that the extreme color variation between the white smooth areas and the reddish burl-eye areas, is somewhat due to image manipulation and not inherent in the wood. 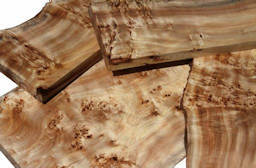 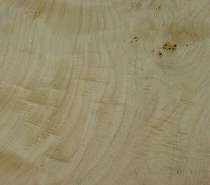 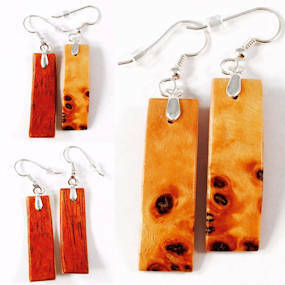 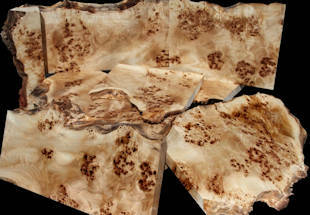 See my veneer samples at the top of the page for what is probably a more realistic illustration of the veneer. 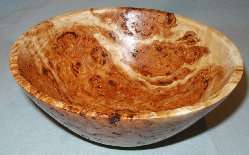 bowl listed as "mappa burl" which is redundant. 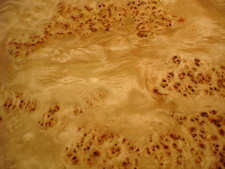 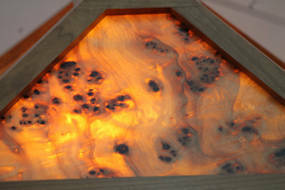 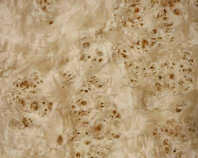 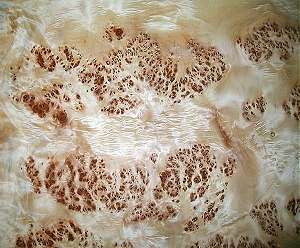 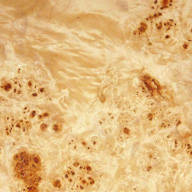 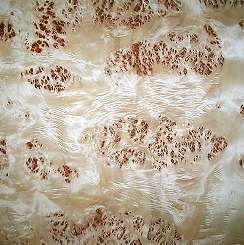 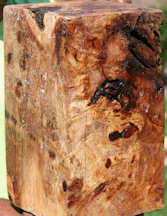 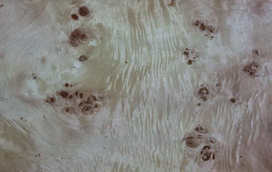 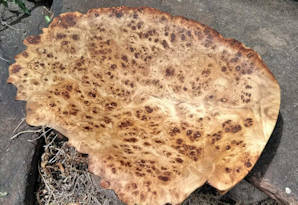 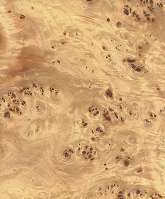 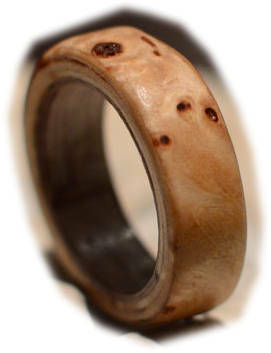 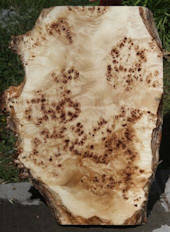 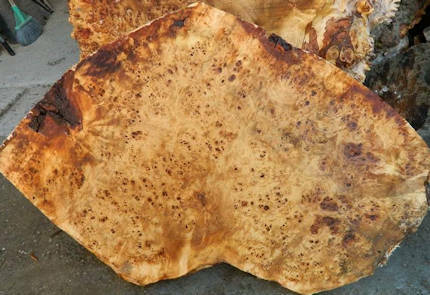 Mappa IS burl.